Comment: we are looking for a reverse osmosis water filtration system to be installed in our kitchen sink to use as drinking and cooking water. Comment: I am looking for a residential water filtration system as my residential water has a strange order and has too much chlorine. Comment: Interested in a carbon block, UV under sink water filter for kitchen. Comment: i'm interested in having a water softener installed in my new home. i'm looking to get an idea on options and costing. M & M Mechanical of GA, Inc. Plumbing and Mechanical Consultants, Inc.
Atlanta Water Treatment Companies are rated 4.72 out of 5 based on 774 reviews of 12 pros. 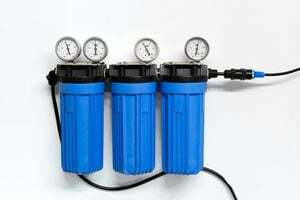 Not Looking for Water Treatment System Contractors in Atlanta, GA?